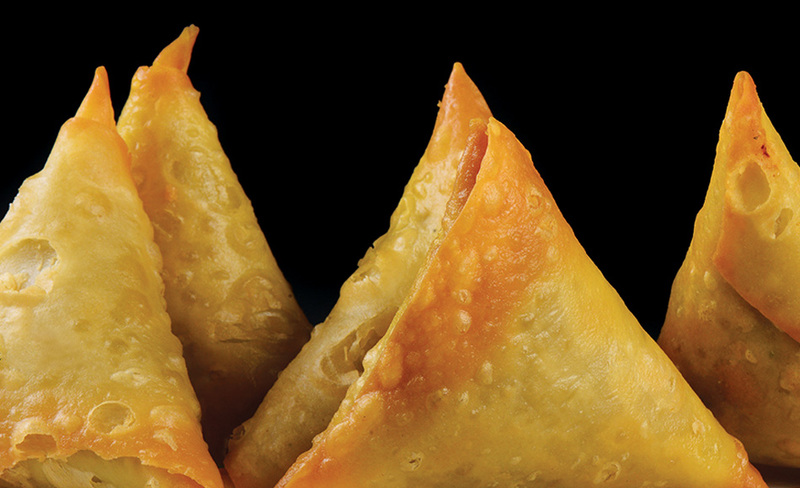 Triangular flaky pyramid shaped pastry stuffed with chicken mince, chopped coriander leaves, chopped onions and spices. 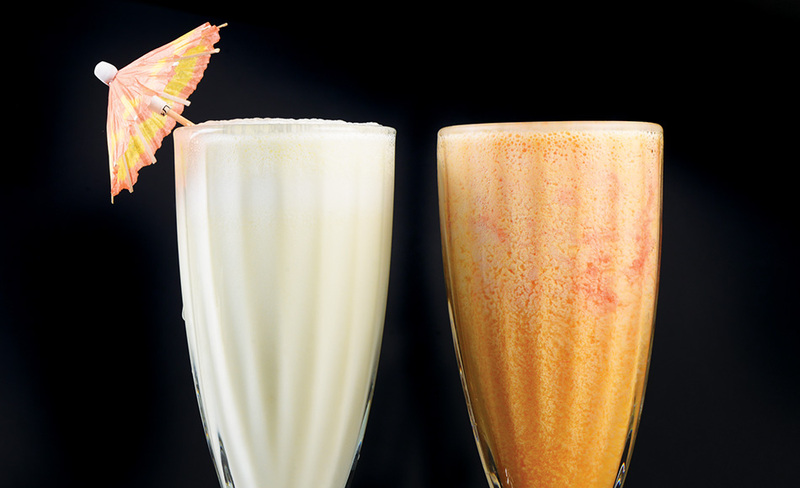 A traditional Indian snack. 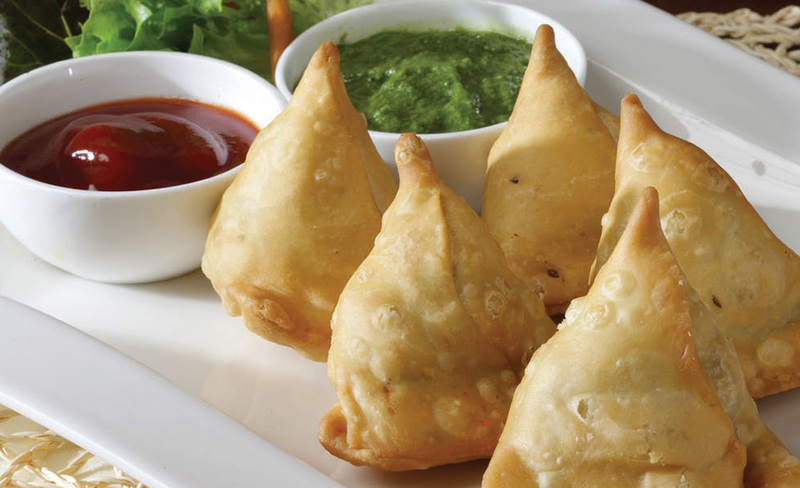 An all time favourite, fried pastry packets packed with cumin, ginger, green chillies and coriander seeds tempered with steamed potatoes and green peas. 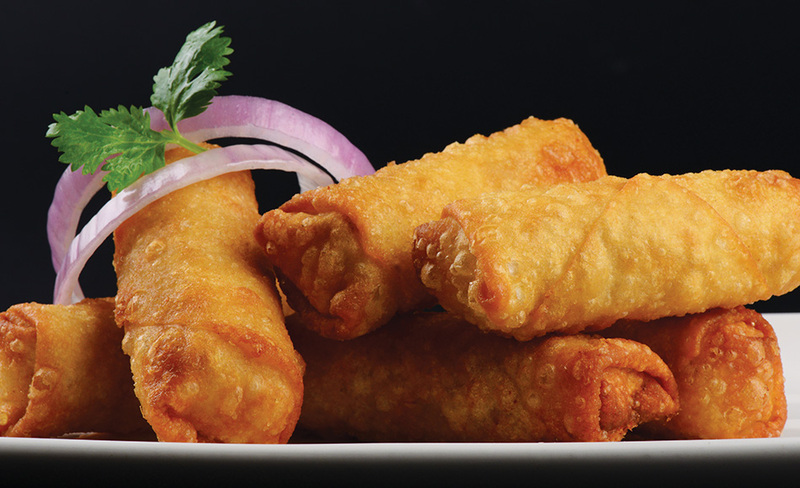 Lightly flavoured cottage cheese sticks filled in roomali roti, turned into rolls, deep fried. 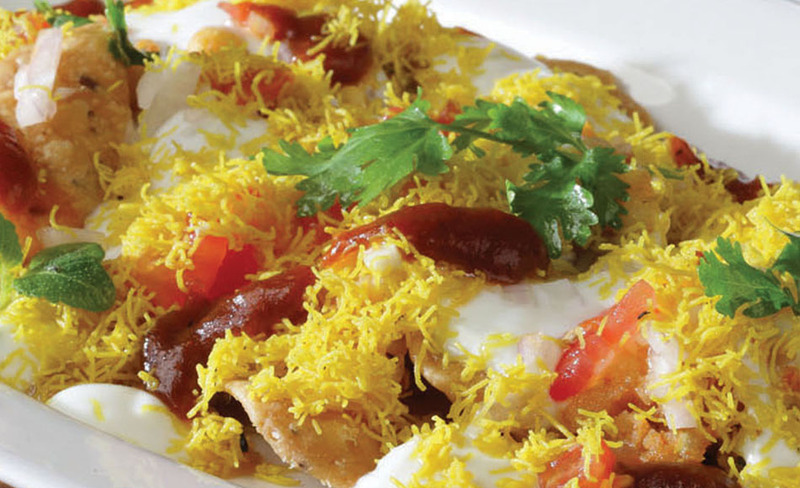 Papdi topped with grated mashed potato, beaten curd topped with sweet and sour tamarind chutney sprinkled with chilli powder and served. Diced, boiled potatoes mixed with mint flavoured green chutney. Sprinkled with chopped coriander leaves. 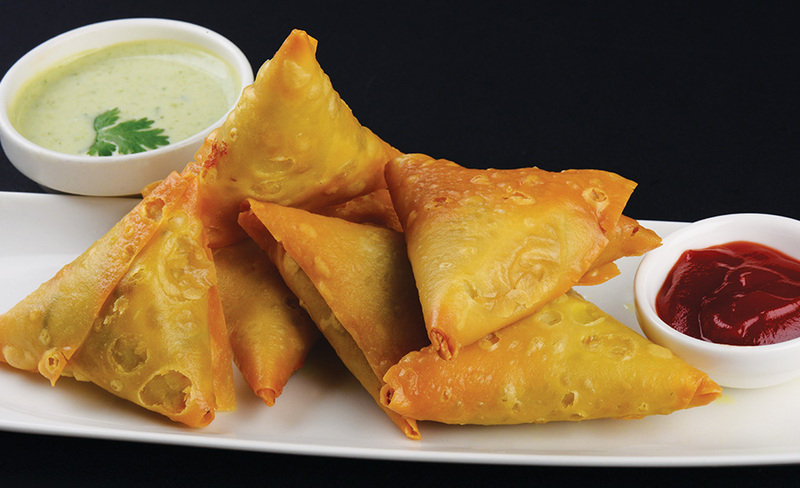 Triangular flaky pyramid shaped pastry stuffed with a mixture of grated cheddar cheese, chopped parsley and spices.